Access all your stuff, anywhere, anytime. If you really want to make the best use of your laptop, tablet, and phone in today’s always-connected world, you need a cloud storage service. Storing files in the cloud may have started as a way for consumers to back up their data in case of disaster, but today’s best services offer so much more. A good cloud storage solution backs up your important documents, photos, and videos, but it also helps keep all your devices in sync. It’s a great way to make sure your desktop, laptop, phone, and tablet all have instant access to all your digital content. It should also allow you to access and edit documents from a web browser and easily share files and folders with others. If you use Apple products—whether that’s just a single iPhone or you’re all-in with lots of Apple gear—we think these are the best cloud storage solutions to which you should subscribe. Update 02/04/19: Updated our guide with the latest pricing for Google One. Google recently re-branded its cloud storage offering as Google One in an effort to clarify that the space is shared between Photos, Docs, Gmail, and any other Google consumer services. The old name, Google Drive, now only refers to the Google Drive app, which is used for managing your online files. Google Photos is fast, smart, and maybe a better place to back up all your digital memories than Apple’s Photos app. A free Google One account gets you 15GB of Google Drive space, a reasonable amount. You can boost that to 100GB for $1.99 a month or $19.99 per year. Doubling that to 200GB is $2.99 per month or $29.99 per year, and a hefty 2TB is $9.99 a month or $99.99 per year. That’s generally on par with other top-tier cloud services. Google’s cloud service simply does a lot of things very well. 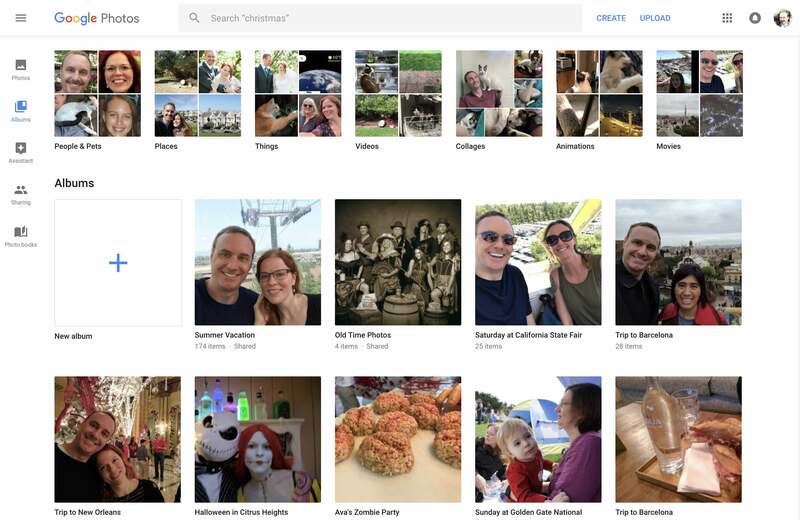 The Google Photos app is better than Apple’s in a lot of ways, especially the experience of accessing your photos on the web. It’s a great place to back up your photos and videos. Google Docs, Sheets, and Slides have earned a great reputation as reliable, fast, and easy-to-use web-based collaborative productivity solutions and the iOS apps even support split-screen multitasking on iPad. Google Drive provides access to all your stuff via the web, and the app integrates very well with the iOS share menu. For your Mac or Windows PC, Backup and Sync is fantastic. It integrates your Google Drive into Finder or Explorer, keeps it in sync across devices, and can even back up your Documents, Desktop, Pictures (including your Photos library), or other folders of your choosing. It may feel strange to choose Google as your primary cloud storage solution when you use Apple products, but it really does work well. It’s a no-brainer if you regularly use a Windows PC or want to access your files from the web, and the price is reasonable. Because it integrates so seamlessly with all of Apple’s products and services, iCloud really is the best cloud storage solution for someone who is all-in with Apple. And I do mean all-in: All your computers are Macs, your mobile devices are iPhone or iPads, you work in Apple’s productivity software (Pages, Numbers, Notes), and so on. Apple has a full suite of web apps, but they’re not as robust or performant as Google’s. Frustratingly, Apple only provides a paltry 5GB of free iCloud storage, which isn’t so bad if all you want to do is store some Pages and Numbers documents, but is grossly inadequate for photos and videos. 5GB probably doesn’t even give you enough cloud storage to back up your iPhone, let alone an iPad as well. At the very least, Apple should stop counting iOS backups against your iCloud storage limit. The main benefit of paying for more iCloud storage is that nearly all of Apple’s apps can seamlessly sync through it. Photos, productivity apps, Mail, Calendar, and anything you drop into your iCloud Drive folder in Finder on a Mac are immediately available across all your Apple devices. 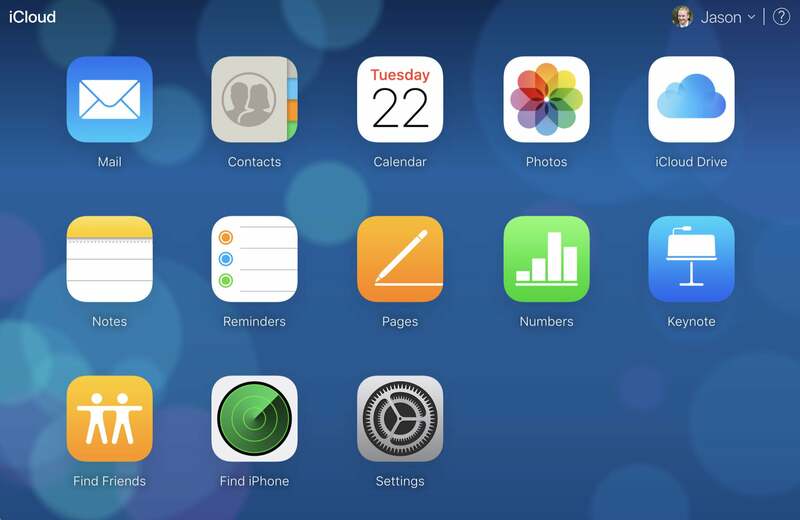 A significant number of iOS apps optionally back up and sync through iCloud, too. If you rely on non-Mac computers or non-iOS mobile devices from time to time, you’ll find iCloud’s limitations frustrating. Apple provides a full suite of web apps at iCloud.com, but they’re sort of mediocre. Apple provides an iCloud Windows app that syncs data and integrates your iCloud mail with common Windows apps like Outlook, but there are no native apps for Windows or Android: If you want to edit a Pages document, you have to use the web interface. Microsoft OneDrive? For Apple users? Yeah! You’d be surprised how well Microsoft’s products work with iPhones, iPads, and Macs. OneDrive gives you 5GB for free, the same as iCloud. There’s a $1.99 per month subscription that nets you 50GB of storage, which is a pretty crummy deal. Where OneDrive really shines is in its $9.99 per month (or $99.99 per year) level. This gives you 1TB of cloud storage for up to six users. That’s 1TB per user, not shared! Each user also gets Office 365 Home, with full versions of Word, Excel, PowerPoint, Outlook, and OneNote, and you can install them on up to five computers, five tablets, and five smartphones. OneDrive on its own is just okay, but the $9.99/month tier is an Office 365 family plan with tons of storage space. It’s a good deal if you’ve got a family full of people with different devices. 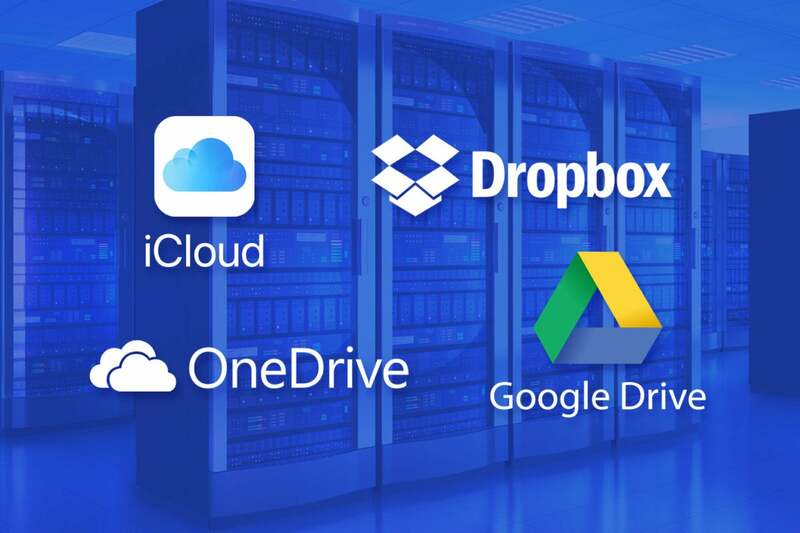 OneDrive, and all those Office apps, work on Windows (of course), Mac, iOS, and Android. Most importantly, Office apps are actually quite good on iOS and Mac. OneDrive syncs neatly across devices and works well on the Mac, integrating neatly into Finder. The iOS apps support iPad multitasking, and you even get Apple Watch apps for OneNote and Outlook. Microsoft’s web-based apps are quite robust, too. So if you need to make some quick edits from a computer without Word or Excel installed, or just want to use a web-based email portal, you won’t get a half-baked experience. If there’s a weak spot with OneDrive, it’s photos and videos. Yes, the OneDrive iOS app can automatically back up photos and videos from your iPhone or iPad (and OneNote has an awesome document scanner built-in), but the photo album experience online is lackluster and there’s no dedicated photo browser/editor app. We still think Google provides a better overall cloud solution for most users, especially since you get three times as much free storage and double the storage at the $1.99/month level. But if you frequently use Microsoft’s productivity software, and especially if you have an iPhone or iPad but use a Windows 10 PC, you should give OneDrive a closer look. The cloud storage option you should choose depends largely on how much you’re willing to pay. If you want free space, Google crushes the competition with a reasonable 15GB—Microsoft and Apple both need to up their game. The 100GB for $1.99 level is a good deal for most people and doubles the capacity Microsoft gives you with OneDrive. Apple’s iCloud gives you 200GB for $2.99, which is the minimum you’re going to have to spend if you plan to back up iOS devices to the cloud along with photos and videos. Google matches Apple’s price and storage at this level.There’s a $0.99 tier below that, but even 50GB will fill up fast when you’re backing up your iPhone and all its photos. If you want to spend ten bucks a month, you’ll get 2TB from either Google or Apple, but Microsoft will give you six accounts with 1TB each. That’s a sweet deal. No discussion of cloud storage solutions would be complete without discussing the company that popularized consumer cloud syncing: Dropbox. Unfortunately, it’s hard to recommend for most users. A free account nets you a paltry 2GB, and it doesn’t include some of the service’s niftier features like Smart Sync. You can pay $9.99 per month for a 1TB plan—again, missing some features—or $19.99 per month for 2TB with all the service’s features. Dropbox does a good job of syncing folders on computers and mobile devices, but that’s not enough anymore—its competitors do a great job of that, too. Creating and editing documents is done through Dropbox’s all-in-one Paper app, which is just okay. Dropbox will back up your photos and videos if you want, but the photo management experience is lackluster. Dropbox was the go-to cloud storage and sync service eight years ago, but has since been surpassed by more robust, flexible, and affordable offerings from its competitors.